The world’s premier mixed martial arts brand and Latin America’s number one pay TV group partner to deliver UFC content across 17 countries reaching over 44 million households. 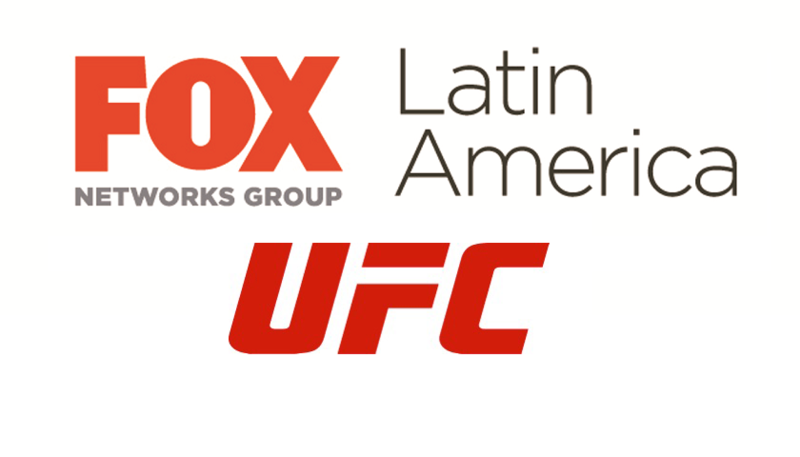 Las Vegas – UFC® and FOX Networks Group (FNG) Latin America today announced a multi-year deal to bring the world’s fastest growing sport closer to fans throughout the region than ever before. FOX will air over 160 hours of live UFC content annually, including prime time UFC Pay-Per-View (PPV) events, UFC Fight Nights, and The Ultimate Fighter® reality television series and its Finales. The partnership kicks off on Saturday, May 13 with UFC 211: MIOCIC vs. DOS SANTOS 2 in Dallas, Texas. FOX Sports will air both the prelims and the main card live. UFC content will be available on Fox Sports and FOX Premium App & TV, FNG Latin America’s exclusive entertainment experience, starting May 13th, reaching over 44 million households in Spanish-speaking Latin American countries. Mexico will become part of the licensed territory starting Jan 1, 2019. For more information or current fight news, visit www.ufc.com, www.foxsportsla.com or www.foxplay.com. All bouts live and subject to change.